It‘s fme you love to work with – with this vision we help our clients worldwide to master their digital transformation in order to remain competitive and to stay in business. Your partner for digital transformation. It’s fme you love to work with. We believe in the opportunities of digital transformation and love to help our clients worldwide maintain and create competitive businesses. fme US, LLC was founded in 2010 as a subsidiary of fme AG. fme US focuses on Enterprise Content Management Solutions for clients in the Life Sciences Industry in the United States and Canada and is based in Danbury, CT.
fme is partnered with the leading content management platform vendors including Box, Microsoft, OpenText and Veeva. Digitalization enables new ways of dealing with existing businesses and creates totally new business models. We believe in the opportunities of digital transformation and love to help our clients worldwide maintain and create competitive businesses. Our devoted consultants optimize or challenge our clients’ business models through existing and new technologies and advise them on the necessary cultural change in their company. Cloud, Business Intelligence, Social Business Collaboration and Enterprise Content Management technologies in combination with custom software development and the ability to operate our clients’ systems 24×7 help us to add value to our clients’ transformation process. The industry focus lies on solutions for life sciences and industrial manufacturing. We design and implement proven best practice solutions leading to improved quality and compliance, enhanced competitiveness and secured future business. To this effect, we provide vendor independent consulting services. Our teams in Germany, the United States and Romania are experienced in managing global projects and also grant access to our cost-effective near-shore resources where advisable. For more than 15 years, renowned corporations like Boehringer Ingelheim, BMW, CSL Behring, Dea Deutsche Erdoel, EagleBurgmann, Medtronic, Sanofi-Aventis and Volkswagen have relied on our experience and competence. We are a privately held company and have enjoyed uninterrupted and profitable growth over the years resulting in a comfortable shareholder equity rate. Foundation of fme GmbH based on the Frank Mittelstaedt EDV and Systementwicklung. Michael Engelen joins fme.Dirk Bode joins fmeFirst DMS project for an automotive companyPartnership with Documentum. Dirk Bode becomes third member of the fme management.30 employees, opening of the Munich office50 employees, acquisition of the internet agency OPENBOX and change of name to fme AG60 employees, focus on Enterprise Content ManagementOver 70 employees, "migration-center" achieves "Designed for Documentum" status. New office in Cluj, RomaniaNew fme office opens in Frankfurt and serves mostly the life sciences industry.fme offers cross platform design, efficient introduction and use of Enterprise Content ManagementThe total of employees within the fme group has risen above 100fme expands the portfolio with Product Lifecycle Management (PLM) and Business Intelligence (BI) and establishes fme US, LLC. (Danbury, CT) fme launches "docspread" as a platform for mobile business applicationsfme receives award as top employer 2012 by TOP JOBfme moves into the new headquarter at Wolfenbütteler Straße 33fme has an office in Düsseldorf. The number of employees exceeds 170.The number of employees of fme group grows to more than 200.fme celebrates 20 years of partnership with OpenText Documentum and is nominated as one of three candidates for the OpenText Partner of the Year Award 2018. After graduating from SUNY at Delhi in 1989 with an Associate’s Degree in Electrical Technologies, working for GEC Alstom servicing clients in Power Generation, Mr. D’Entrone then graduated from Northeastern University in Boston Massachusetts in 1999 and accepted a position for a Biotech company in Boston entering into the Enterprise Content Management (ECM) space. Mr. D’Entrone then went on to work for IT services organizations providing ECM consulting services to clients in industries such as Life Sciences, Manufacturing, and Finance. In 2007 Mr. D’Entrone founded DT Technologies Inc. continuing to provide ECM consulting services till entering into a joint venture with fme AG in March of 2010. Before he joined fme US in December 2017, Nigel Whitehead held a number of senior executive roles including the management of a solutions business with a strong focus on ECM. He was the CEO at Advanced Health Media and held positions as Managing Director at CSC Healthcare Group and President Life Sciences at First Consulting Group. Nigel Whitehead brings more than 30 years of experience in the Life Science Industry to the role of the Chief Operating Officer at fme US, LLC. Graduating in 2003 from Braunschweig, Germany with a Master’s Degree in „Computer Science in Economics“, Manuela directly joined fme AG as an Associate Consultant. She primarily worked with Java and Documentum development projects. Over the years she developed to the role of a Senior Consultant for Documentum and Deputy Business Manager for the Munich department. In 2010 Manuela moved to Connecticut USA to join the newly formed fme US as Senior Consultant providing Documentum and migration services primarily for the Life Sciences industry. Currently she is a Managing Consultant and Deputy of Operations overlooking the Delivery team servicing the customer projects. John Coleman has vast experience launching industry changing technologies and services. Early in his career, John was part of Apple‘s Macintosh launch team. The Macintosh introduced the mouse and windows technology which changed the way we interact with desktop computers and is still used today. Mr. Coleman served in both training and sales positions with Apple. Later Mr. Coleman was part of the sales team that launched VoIP/Internet Telephony at Technology Marketing Corp (TMC). TMC supported the introduction and innovation of VoIP technology by introducing Internet Telephony magazine and the Internet Telephony Conference and Expo. John has been working in the content management space since 2004 and has been with fme US since 2015 serving as an Account Manager helping customers manage their exploding content management needs. At fme US John enjoys educating customers on products, services, and strategies that help them increase their productivity and reduce their costs. After graduating from the University of Connecticut in 1995 with a Bachelor’s Degree in Psychology, Mrs. Primavera started her sales career with an inside sales position at CYA Technologies, now enChoice, an OpenText Partner primarily focused on selling backup and recovery technology. She continued her career working in sales management positions promoting Documentum enterprise content management solutions including Business Process Management, Digital Asset Management, Web Content Management and implementation and migration of the platform. Mrs. Primavera joined fme US as Sales Director in May of 2010 focusing on sales and marketing of Life Sciences solutions in the United States and Canada. fme US, LLC was founded in 2010 as a subsidiary of fme AG. The company belongs to fme group with fme AG, the headquarter in Braunschweig, Germany, and fme SRL in Cluj, Romania. Read what fme employees think is special about fme and what they feel about the corporate culture. Read what fme employees think is special about fme and what they feel about the corporate culture. Please fill in the following details so that we can contact you. The *-marked fields are mandatory. Yes, I have read the > data protection declaration and consent to the collection and use of my data entered above. Longterm partnerships are more and more important in the fast growing IT segment. With these market leaders we develop innovative solutions for your success. 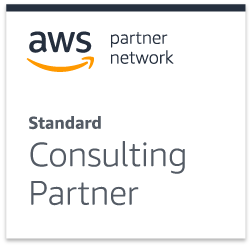 As official AWS Consulting Partner, we support companies in developing and operating their own cloud- and big data-based solutions. Amazon Web Services offers a broad set of global cloud-based products including compute, storage, databases, analytics, networking, mobile, developer tools, management tools, IoT, security and enterprise applications. These services help organizations move faster, lower IT costs, and scale. AWS is trusted by the largest enterprises and the hottest start-ups to power a wide variety of workloads including: web and mobile applications, game development, data processing and warehousing, storage, archive, and many others. 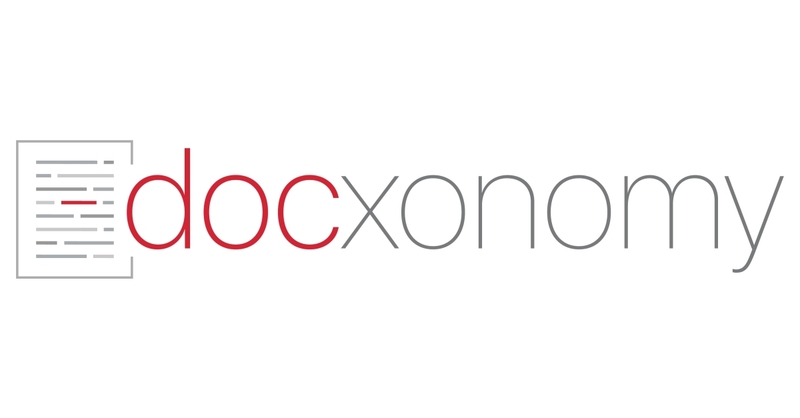 Docxonomy, LLC was founded in 2017. Docxonomy is a data science company offering an intelligent search and knowledge discovery platform for clients in multiple global Industries and is based in Newtown, PA, USA. As a Microsoft Partner we carry the Gold competency “Collaboration and Content” and we primarily develop and offer solutions based on Microsoft Office and Backoffice products, especially on the SharePoint Server. We are continually subject to quality controls by our partner and have to prove our technical know-how in tests and projects regularly. OpenText Documentum advances content management within e-businesses with an open, flexible internet-scale platform that enables customers to create, deliver, publish, and personalize content in all formats throughout all e-business applications. OpenText Documentum is the leading provider of content management solutions with proven experience, superior technology, open architecture, and partnerships that qualify the company as e-business content management experts in a unique way. As a long time partner and member of the Documentum Select Services Team, fme group profits from this know-how and have become specialists in customising this software for your specific needs. With more than 15 years of Documentum project experiencefme belongs to the major OpenText Documentum partners in central Europe. Our global team of OpenText Documentum experts has extensive know-how from n umerous projects with clients like Audi, Bayer, BMW or Volkswagen. More than 80% of our project managers, software architects and developers work on individual solutions based on OpenText Documentums Enterprise Content Management Platform for you. With our solutions you can minimize search times drastically and shorten process duration which might bring a business-critical competitive advantage. Along the complete value chain we have elaborated our competency and offer you the required service for OpenText Documentum from consulting to maintenance and 24/7 support. migration-center is not only a product but rather a content migration platform which carries out highly automated, large volume migrations without system downtime. It is a full function, 100% out-of-the-box software, fully documented, easy to deploy and with an intuitive graphical user interface. Save 60% in costs and 80% in project duration time when using migration-center compared to developing your own scripts and frameworks. migration-center is on the market since 2005 and has been certified by leading ECM vendors. The OpenText Technology partnership exists since 2015. 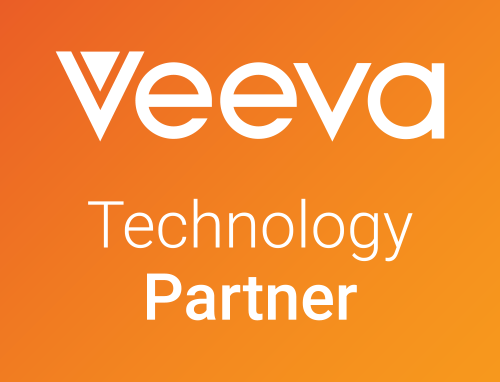 Veeva Systems Inc. is a leader in cloud-based software for the global life sciences industry. Committed to innovation, product excellence, and customer success, Veeva has more than 625 customers, ranging from the world’s largest pharmaceutical companies to emerging biotechs. Veeva is headquartered in the San Francisco Bay Area, with offices in Europe, Asia, and Latin America. For more information, visit veeva.com.